If payment in full (including any add-ons) is not received based on the payment schedule, a late fee of $10 per day, in addition to the remaining balance shall be paid to Viva Photo Booth. There is a possibility of booth down time at your event in order to change necessary operating media (photo paper, toner, etc.) and is expected to take approximately 5 minutes. This time is figured into the total rental period and will not be credited to client. In the case of cancellation per client’s written request on or prior to the final payment due date, client will be refunded any payments made, minus the non-refundable deposit. Fee up to 20% of price applies for cancellations made 8 or more days prior to scheduled event date, up to 50% of price for cancellations made within 7 days of scheduled date, and up to full price for cancellations made within 48hrs of scheduled date. “Additional Booth Time” requested by client prior to the event in writing or email or at the event by request of the attendant, will be charged at the rate of $200 per hour per photo-booth (pro-rated–rounded up to the next half hour). 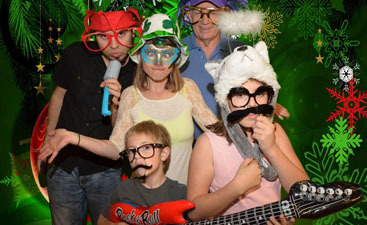 Additional “Idle Time” will be added at the rate of $49/hour per photo booth. Any and all add-ons chosen within this contract or in written or email form by the client will be added to the final payment and paid to Viva Photo Booth in accordance to the contract payment schedule. Booth location must also be in a room with no less than an 10′ clearance. Minimum door width for booth access is 28″. Placement of booth can only be on level, hard and smooth surfaces such as tile, hardwood, concrete, carpeted room, etc. Grass surface, uneven stone surfaces or bare dirt are not acceptable and client will be notified of the inadequate environment and given the opportunity to choose a more acceptable location for the booth. We require one 110/120-volt grounded power outlet within 20′ of booth location. Client will be responsible for damages incurred from actions of the client or their guests while the booth is on-site at the event location. Repair costs will be collected from client in the event of damage to the booth and will be notified of any damages within 48 hours of the event. If booth cannot be removed from the event at the conclusion of the contracted time client will be billed at the forced idle time rate of $49 per hour till the booth can be removed without affecting the event in a negative manner. Viva Photo Booth reserves the right to use any appropriate photos taken during the rental for advertising purposes including but not limited to website exposure, print ads, brochures and advertising media. 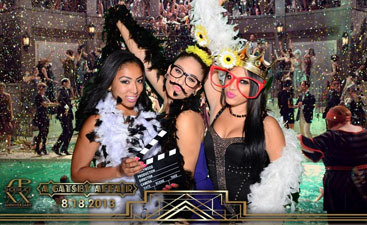 This Service Contract constitutes the entire Contract between Viva Photo Booth and client, and supersedes any prior understanding or representation of any kind preceding the date of this Contract. Any changes to this service contract must be approved in writing by Inti Garcia.